I love it that after spending decades with Spanish I can still come across such fresh nuances of meaning and usage. This is, of course, a “glass half full” reaction — perhaps I should be frustrated that there is always more to learn. But for me, this richness is part of what makes languages interesting. This entry was posted in Vocabulary and tagged esperar, Spanish English contrast, Spanish English contrastive analysis on 30 October, 2016 by jhochberg. 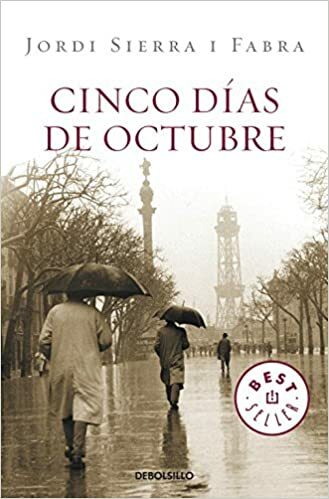 My airplane reading for my flight home from Spain was the third book in Jordi Sierra i Fabra’s “Inspector Mascarell” series, Cinco días de octubre. I love these books! The plots are gripping, the Spanish is lively, the links to modern Spanish history are illuminating, the Barcelona setting is vivid (Sierra’s events unfold on actual streets, parks, and whatnot), and Inspector Mascarell himself is a compelling character, from his brilliant investigative skills to his mental conversations with his dead wife. Trabajo para él, accidentalmente, pero no por él, descuide. Por and para both translate as ‘for’ in English, and mastering the subtle differences between them is one of the less pleasant tasks in learning Spanish (see, for instance, the por/para handout on my Teaching page, and also this earlier post). The contrast between trabajar por and trabajar para is a standard part of this topic. However, Sierra does not exploit the contrast in the usual way. Normally, trabajar para means ‘to work for (as an employee)’ and trabajar por means ‘to work for (as a substitute)’, as when a usual worker is sick. My por/para handout includes examples of both uses. However, in this case Sierra is using trabajar por to mean instead ‘to work for the sake of’, or ‘for the benefit of’. This is a perfectly reasonable use of por, but startling after focusing, for years (!!! ), on the employee/substitute contrast. Like other contrasts that exist in Spanish but not English, such as ser vs. estar ‘to be’ and the preterite vs. imperfect past tenses, the por/para contrast can be seen as either a blessing or a curse. On the one hand, the contrast is a genuine challenge for novice Spanish students, and even old hands: after decades of striving, I still occasionally find myself stumped as to which preposition to use. On the other hand, Sierra’s example here shows the expressive power of the por/para contrast. It accomplishes elegantly, with a single lexical choice, a difference that in English requires either dramatic emphasis on the second for (as I’ve tried to show via boldface), or a more drastic, and stiffer, rewording: perhaps ‘…but not on his behalf’. It’s always comforting to see such a useful payoff for a challenging aspect of the language. 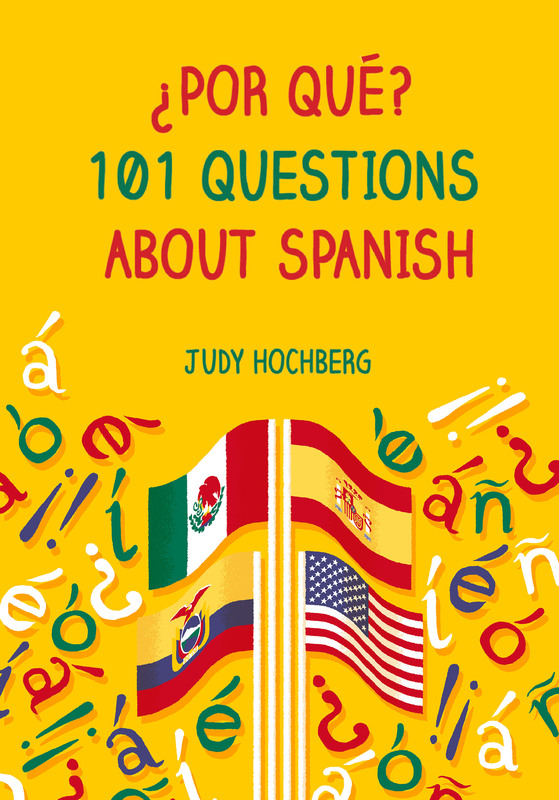 This entry was posted in Vocabulary and tagged Jordie Sierra i Fabra, por and para, prepositions, Spanish, Spanish English contrast on 1 July, 2016 by jhochberg.